Sweet or savory, muffins are a fast treat to make for breakfasts, brunch or anytime snacks. These savory breakfast muffins require very little prep and are a perfect fit for the Easter brunch table. The salty cured ham and the mild Castello Double Crème White cheese are a perfect match, giving these muffins plenty of flavor! 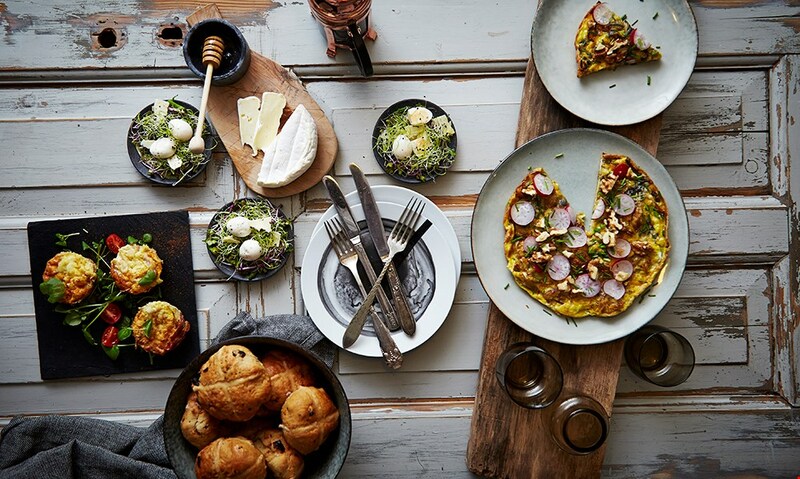 The only thing that beats an omelet on a weekend morning is a frittata! 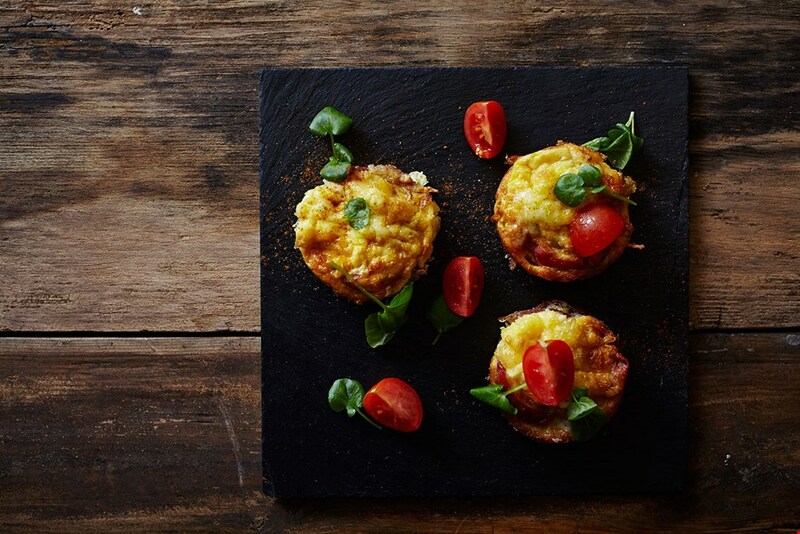 A frittata is an Italian dish that is both great for using up leftovers, and also amazing in its simplest form. 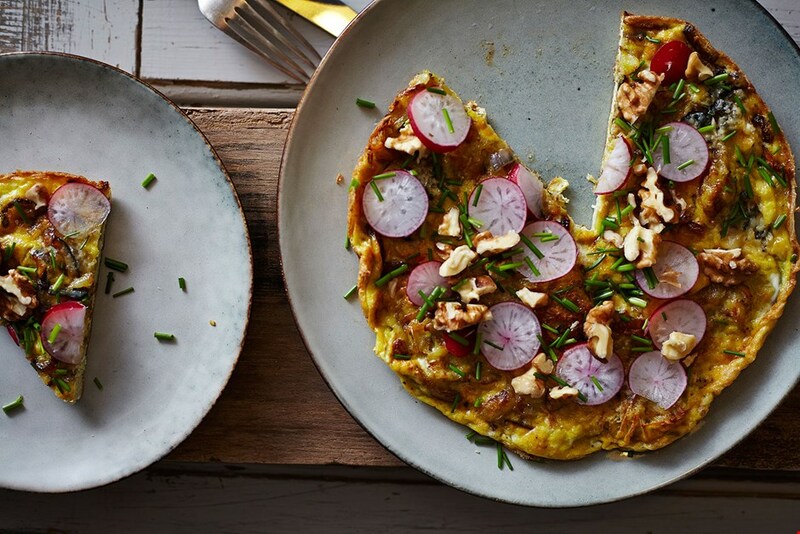 This frittata is made with fresh produce like sweet onions, crunchy walnuts and fresh, crisp radishes, all of which go perfectly with Castello Double Crème Blue cheese. The subtle flavors are all beautifully captured in the potato and egg mixture and make a rich and filling choice for your Easter brunch. These buns are an Easter tradition in many countries and they taste just as fantastic as the smell that spreads throughout your home as they bake. Nutmeg, cloves and cardamom give the buns a spiced flavor that goes nicely with the round taste of the mild Castello Double Crème White cheese and the sweet dried apricots. 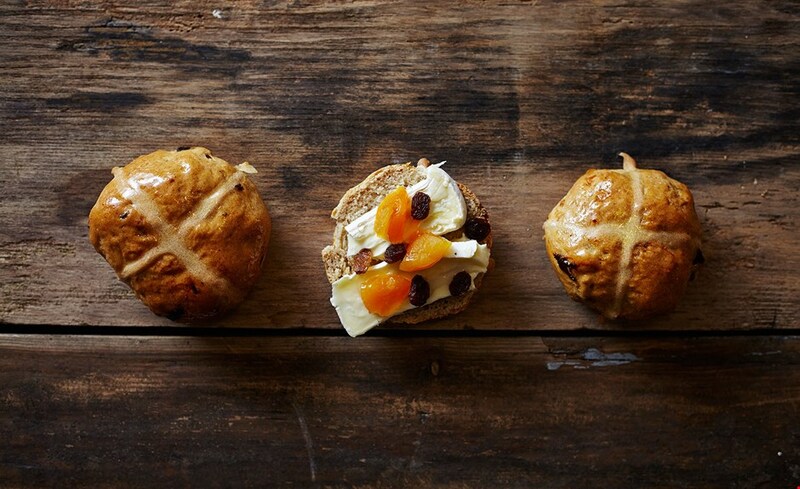 These buns make a beautiful addition to any brunch table. 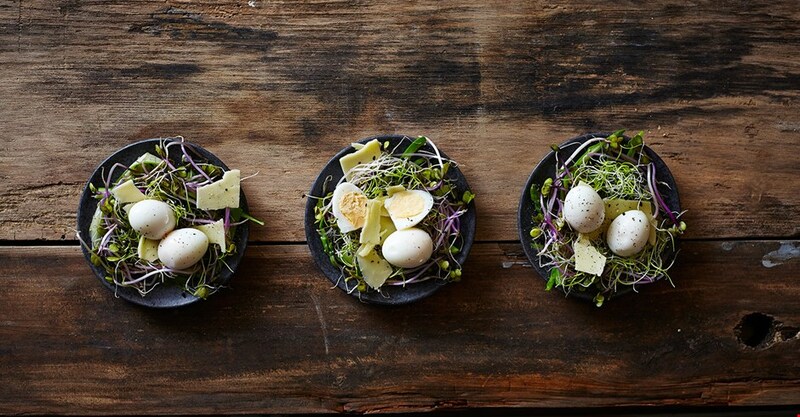 Bird’s nests are an easy and beautiful dish for the brunch table. The bottom is made from crisp asparagus and flavorful sprouts, creating a bold pairing and soft layer for the Castello Extra Mature Cheddar cheese and the soft quail's eggs to rest. And it’s a great, festive way to add some veggies to the Easter table.